As efforts are ramping up to potentially confront the Zika virus this summer, there have been a number of calls for a more sustained level of public health readiness in the United States. The Centers for Disease Control and Prevention (CDC) and the National Association of City and County Health Officials (NACCHO) has encouraged the institutionalization of readiness at the state and local level through the Public Health Ready program. One designee in Virginia is the Fairfax County Health Department, whose jurisdiction is within the National Capital Region. A conversation with the health department’s emergency management coordinator, Marc Barbiere, as well as a review of the Fairfax County Pre-Disaster Recovery Plan, speak to the importance of building relationships with the right partners so they may serve the right functions in a public health emergency. Image from National Capital Planning Commission. Barbiere emphasized that the efforts conducted under the recovery plan’s auspices are undertaken with the involvement of stakeholders at all levels of government, as well as the nonprofit and private sectors. The Fairfax County Health Department would be at the forefront of a response to a viral pandemic as a leader in the health and medical group within the community services recovery support function in the Fairfax County Pre-Disaster Recovery Plan. The objectives of the health and medical group include developing a plan and communication materials for voluntary medical needs self-identification, determining the logistics involved in delivering a surge of medical care and expanding the capabilities of the all-volunteer Fairfax Medical Reserve Corps by bringing in a range of professionals. Also under the community services recovery support function is the social and human services recovery group. While the health and medical group focuses on providing physical treatment and protection, the social and human services recovery group is concerned with meeting needs such as mental health care and spiritual counseling. Faith Communities in Action is a religious organization actively involved in preparedness for this response and recovery area. Barbiere notes that other religious organizations, like the Salvation Army and Catholic Charities, are also actively involved in preparedness and response work. According to the Fairfax County Web page, an Interfaith Emergency Planning Committee serves to increase houses of worships’ awareness of how they can assist the community during and after an emergency. The committee also promotes individual houses of worship’s engagement in activities that facilitate congregants’ emergency preparedness. These collaborative efforts are overseen by Dr. Gloria Addo-Ayensu, the Fairfax County health director, who acts as a model for collaborative behavior, champion for preparedness and representative to the media and public, according to Barbiere. At the 2015 Medical Reserve Corps summit, Dr. Addo-Ayensu provided training about communicating clearly and effectively when answering complex questions during a public health response. Innovations from collaboration include administrative preparedness policies and procedures. Human resources and fiscal policies take preparedness into account. All public health employees are considered essential and part of preparedness. Regular evaluation of human capital is undertaken, as county workers are used to supplement response efforts during an emergency. Librarians may be called into service to add to the emergency response workforce. Volunteers from the Medical Reserve Corps are also utilized. Barbiere added that this use of county employees contributes flexibility and support to response efforts. One key lesson to be drawn from the work of the Fairfax County Health Department and its partners in creating the Pre-Disaster Recovery Plan and other preparedness documents is the importance of mapping key functional areas that will need to be met in an emergency and then assigning available stakeholders to areas in which they can be of maximum benefit. Those responsible for public health emergency management in the Fairfax County area have created a comprehensive strategy for preserving the physical, mental and spiritual well-being of the population through integrating relevant stakeholders, following the leadership of public health experts and champions and changing policy to allow for faster reallocation of human resources in an emergency. Barbiere noted another vital area in which human capital is important, grant management. 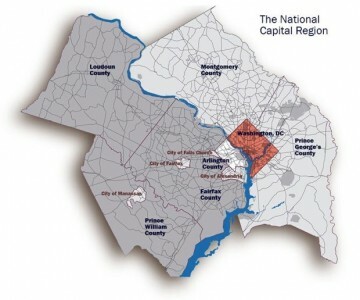 There is a designated person for Fairfax County who is well connected to current grant issues. This position makes sure the necessary documentation is kept, expenditures are made effectively and staff have the resources needed. Without someone to do this detail-laden work, other preparedness and response efforts may be moot. As vital as that grant money is, it will not be used effectively unless a municipality has a comprehensive plan in place to effectively draw upon the knowledge, talents and expertise of key stakeholders by putting them into positions where they can make the strongest contribution to response efforts. The example of Fairfax County, Virginia shows that one cannot truly be public health ready until all those capable and willing to respond to an emergency have been made part of an integrated team that provides a holistic response that treats the entire individual as well as the needs of the community. This is an excellent example of a growing awareness of the important linkages between public administration and public health and population emergency preparedness. Unfortunately, public health professionals are not trained in the essentials of public administration, public policy; and, public administration officials rarely have an awareness of the roles and responsibilities of public health. There are a few; but, too few, interdisciplinary programs around the country. The biggest challenge to public administration and public health cooperation and collaboration is if a regional or nationwide quarantine is ever required to stop an epidemic. Michael W. Popejoy, Ph.D., M.P.H.